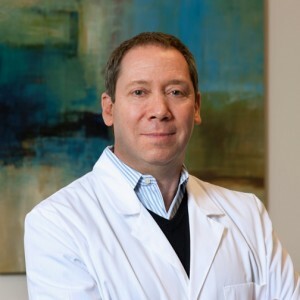 Dr. Gary Kaplan is the founder and medical director of The Kaplan Center for Integrative Medicine in McLean, VA. Dr. Kaplan created the Center in 1985 to offer patients suffering with chronic pain and illness a more effective model of medical care. A pioneer and leader in the field of integrative medicine, Dr. Kaplan is one of only 19 physicians in the country board-certified in both family medicine and pain medicine. In 2012 & 2013 Dr. Kaplan participated in the premier prolotherapy training and service mission in the world, a medical mission to Honduras, organized by the Hackett Hemwall Foundation of the University of Wisconsin Medical School. There, Dr. Kaplan received his training and observed many of the best prolotherapy physicians in the world, providing regenerative injection treatments for tendon, ligament and joint dysfunction to local residents in need of this medical care. Here at the Kaplan Center, Dr. Kaplan has had the good fortune to work alongside and collaborate with two internationally known prolotherapy experts and Hackett Hemwall instructors.